I have put a couple more inches on the Telluride but I am tired of photographing it in poor light so I am not going to do a weekend WIP post about it today. Instead, I thought I would share this marvellous panorama that I took from the roof of one of the publishers I'm working with, back at the end of September. 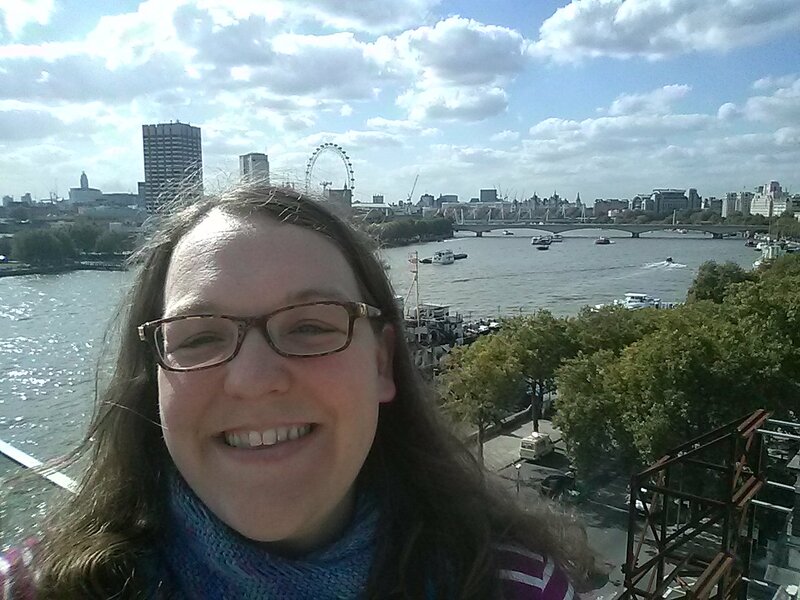 The offices are at Blackfriars so there is an awesome view of the river in both directions. You can see Tower Bridge to the left and the London Eye to the right; although it is not distinct in this picture, the House of Parliament are also here but appear behind the London Eye, even though they're on the opposite side of the river. I always forget that the Thames undulates so much. Bonus selfie, too. It was a good day, although it was another one of those meetings that really probably could have been an email. The wondrous Telluride. I'm in love. Can't wait for it to be finished, although I keep looking longingly at the Schachenmayr I bought in the summer and coveting a glowing hat. Maybe tomorrow, if I can squeeze an hour out of my day for knitting. Bath Christmas markets. I bought a Christmas pudding, drank too much mulled wine and managed to leave my handbag in the restaurant. Good times. (I did remember before we'd got too far away, luckily). Coffee with Tutt on Friday night. She is working even harder than me. We're both reaching the end of the tether. I went to Tart today with my friend Sian for lunch and a catch up. Tart is pretty quiet these days; I fear it's had its day, though I think it is still as fabulous as it always was. I had pumpkin cake with cream cheese frosting. It was a win. I also managed to get back to yoga today, though only for the hour's rejuvenating class. Still, better than nothing. Whatever I can cobble together out of the fridge. If it were left up to me I'd be eating overnight oats three meals a day at the moment with some avocado on toast thrown in (and I was eating it before Nigella put it on TV before you say anything). Luckily Mr Z likes to cook and is kind enough to do my lunch jars. I've done some work on enquiry this week, to present at the inset day we had yesterday. I presented with a local primary colleague I met on Twitter, who I love working with: she is very steady and sensible. Our workshop went down a treat and I got a bottle of Cava to say thank you: just what I needed considering I was feeling really very tired after all of Thursday night's drinking. I have stashed it under the stairs. I've also been reading and learning about the structure of DNA. It's in the book. For over a decade I have parroted that the structure of DNA was a vitally important medical discovery without really understanding why it was important; I think I finally get it now, though. Not much, really. This week has flown by, thanks to there being only three teaching days in it. I'm trying to read here and there for the book but it's difficult to find a bit of brain energy at the end of the working day. I am a bit obsessed with why my blog is telling me I only have 1 post tagged "Tuesday Ten", though. I have well over 100. I don't understand. But I'm not obsessed enough to investigate further. The Help. I have seen it before but it is an excellent film. I really must read the book. Determined. The end is in sight. My deadline is in three weeks; then I can set about fixing the mess that three months of semi-neglect has created in my classroom. I'm currently trying to put into words why the discovery of the structure of DNA was such an important medical discovery, so time is short. But here is something that is a brand new fave: I discovered today that Amazon now do same day delivery, and it's free as a Prime customer. Ordered a book at 10am and it just arrived. Evening delivery so I don't have to get it sent to work, I just have to be home by 6pm. Awesome. How long til we get the delivery drones? I'm just back from a lovely evening in Bath. For the second year in the row I spent tonight wandering the Christmas market on opening night (never particularly busy, if you're wondering), drinking mulled wine and then having dinner with friends. Tomorrow is inset day, so no work needs to be done (although I am leading one of the sessions so I should really go to bed shortly). 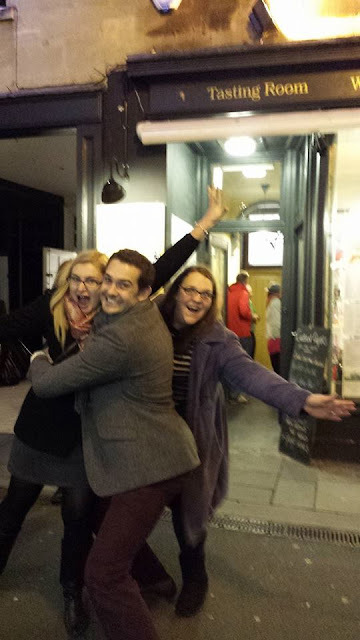 Last year we combined the wander and dinner with a wine tasting party for a friend's leaving do. Even more fun than tonight. Tom had to present to the whole staff on assessment the next day, but I didn't really have to do anything but listen, so that made it marginally better. Hopefully this will become an annual event. It is very kind of school to time the inset day so cleverly. 2. I have a warm, comfy house to go home to every night with a warm, comfy husband who makes my lunch every day. 3. I have more work offers than I know what to do with. Sometimes hard to be thankful for this one but I do realise I am very fortunate. 4. The book is ALMOST FINISHED (in spite of number 3). 5. I have good relations with my family members. 6. I have a spare bedroom crammed with gorgeous, gorgeous yarn and sometimes even enough time to pursue the hooby. 7. There is only one more teaching day left this week. 8. I've learned the value of saying little. 9. I'm going on three foreign visits with the school next year. 10. I have a £10 Boden voucher burning a hole in my pocket and it's pay day tomorrow! Woohoo! I forgot to mention that I baked the Christmas cake yesterday. The whole house smelled amazing. I am a bit worried because my hand slipped when adding the powdered cloves, but since I can't very well cut myself a piece to test it I guess we will just wait and see. I also finally got some lemon gin going. I love how it has turned this Bombay Sapphire bottle green due to its yellowness. The creator of the recipe recommends labelling the bottle so that a good vintage can be recreated, but I just followed her recipe since this is the first time I've tried it - the rind of three lemons and 200g caster sugar. I did deviate a little by weighing the sugar and then peeling the lemons directly onto it; there's a lot of zing comes out when you peel a lemon and I wanted to capture as much of that as possible by allowing it to fall onto the sugar. I'm not sure if it worked but it made a fabulous smell and quite a mess. I was left with a far bit of leftover gin. I'm not even sure I would manage a gin and tonic that large. Next year when I make it I may add a lime rind along with the lemons. Mix it up a bit. Browsing through the Italy photos I came across this, which I took in Florence. What a joyful bunch of mopeds! I made these once in the week but have repeated them today, as I have a surfeit of brown bananas. This was good, as it allowed me to tweak the original recipe a little. While they really did come out with no hint of cakiness about them, I was actually a bit sorry about this, so I have added some raising agents to try to combat this. I also used brown sugar instead of white to up the fudge factor, in direct competition with the raising agents. Zap the white chocolate and butter in the microwave for 1 minute. Stir until combined, then heat again in short bursts until all the chocolate has melted. Leave to cool a little. Beat the egg and sugar until the mixture has gone pale in colour and increased in volume a bit. With the mixer running, pour in the chocolate mixture and vanilla and beat until smooth; then beat in the bananas. Sift the dry ingredients over the mixture and fold in gently - don't overmix. Turn into a square brownie pan (which you should grease and line unless you're using lazy silicone, like me) and bake at 180 degrees for about half an hour, until springy to the touch. Meanwhile, make the glaze. Brown the butter - this involves heating the butter in a small saucepan over a medium heat until it goes brown. Mine frothed right up so this was difficult to see so I was (unusually) cautious - you don't want it to go TOO brown. Place in a mixer with the icing sugar and vanilla and beat slowly until combined. Add milk slowly until you get the right consistency - this is a glaze, so you're looking for pour rather than spread. Pour the glaze over the bars and resist the temptation to cut them up until the glaze as set - go on, I dare you. Many thanks to Averie Cooks for this recipe. Continuing with the Telluride. I did not manage to get to row 40 before the end of last weekend, but I am done with the decreases now and hanging out around 10 inches. I think I need to get to 15 before I do the sleeve decreases so that is not too far away. Maybe I'll be there by next weekend. Knitting the cable repeats is addictive. I went to Wagamama with Parpy Jo on Wednesday. It's a new menue since I last went so that was enjoyable. Earlier today Mr Z and I went to Lacock to look at jewellery for Christmas. Something almost came home with us but it's being adjusted to be a better fit. EXCITED. Mainly soup. I have had the lurgy and have not felt like eating much at all, so there's been tomato soup, pea and ham soup and chicken and sweetcorn soup. And then fish and chips on Friday night to erase any benefits of a soup diet. Luckily Mr Z loves making soup. About DNA, and the battles of Lexington and Concord. It hasn't been a very learn-y week, but I've been keeping my hand in where I can. My own health. For a change. The Last Kingdom. I have been saving it up but tried an episode on Friday night - here's the trailer. Oh, it's very good. Pretty brutal and seems to be fairly accurate, based on what I know. Probably my favourite line from the first episode: "I feel like killing somebody. I choose him." Ill, at the start of the week. I was off sick for two days. I dragged myself to Jenny for training on Wednesday and she said it sounded like a kidney infection, which seems to be the case; but combined with damaged sinuses from sneezing too much thanks to sleeping in an old, dusty sleeping bag; and a cough which I am fairly certain I picked up last Sunday in the supermarket. Little girl behind me at the check out was coughing her face off while her parents just stood there with sympathetic expressions on their faces, fussing her. Hey parents! There are two of you here: one of you stay at home with your infectious child. Or at least, remind her to cover her mouth when coughing. This is why I usually shop online. So, yes, it has been a sickly week, but I am thankfully seeming to be on the mend. I spent the latter part of the week worrying that it was going to be the 8 week cough of the start of 2015, but I think not. It just wasn't helped by having a shedload of schoolwork to do - the neglect I have offered it for the past couple of months is finally coming home to roost - and a parents' evening, during which one parent seemed to be asking me for a guarantee that there would be no terrorist attack during our impending (February) school trip to Berlin. There are obviously excellent reasons for her nerves; they were all in Paris last weekend. But unfortunately no such guarantee exists. 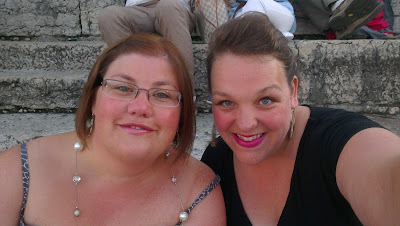 On our first night in Verona we got dressed up and went to the opera. We felt very cultured. We rented cushions (the stone was pretty hard) and bought wine from the friendly wine-seller who came through between each of the four acts. We studiously ignored the young men who encouraged us to move closer and closer together so that more people could squeeze in. As it started to get dark, the show began. We'd all been given candles in little cardboard holders on the way in and we lit them as dusk passed, so the whole theatre was full of twinkly lights. Very picturesque; of course, impossible to catch on camera. It was a very good show. We didn't know much of the background so I'd read a quick Aida synopsis before we left. The show was four hours long, mostly thanks to the massive breaks in between acts - in the last one I would have had time to go back to the apartment to get something to eat and something warmer to wear if I'd been so inclined. But then, the apartment was very close by. This was a real experience, very entertaining and very moving, especially in this setting. I love being in historical places where you can feel the echo of thousands of previous visitors around you, so this was right up my street. Today, in honour of Starbucks baristas who really, really love their jobs. I think I have mentioned before that my usual autumnal order from Starbucks is a pumpkin soy misto. I'm not really a lover of fancy coffees, but normal milk makes me feel a bit sick (possibly just a psychosomatic hangover from a traumatic experience at Guide camp), a latte involves too much soy milk and they won't serve me black coffee with pumpkin in it. So I often have to explain - half filter coffee, half forthed soy milk, add pumpkin. I was walking to my exam board course last month and stopped at Starbucks on Southampton Row to attempt to order this drink. The poor barista was non-plussed. I explained it but he still did not seem to follow and struggled with it on the till - it's not on the menu but it is in the till, somewhere. Luckily a Scottish barista swooped in to save him. "It's this," he said, and then to me, as I apologised profusely for ordering something difficult, "it's not difficult. It's fine. Have you ever had a red eye? Ooooh have you ever had a BLACK EYE?!" "A red eye is half filter coffee, half frothed milk with a shot of espresso. A black eye is the same, only two shots of espresso." I expressed a preference for the latter, with pumpkin. The barista became very excited and swung into action. The original barista was still trying to follow the first order but was swept aside in the coffee maelstrom. I tried to explain. "I'm having basically what I originally ordered," I said, "but we're replacing some of the milk with..."
"With coffee!" cackled the coffee wizard of Bloomsbury. "Put it in the till as this, we're nice." It was a little cup of heaven. The extra coffee meant that it wasn't overly sweet, even with five pumps of pumpkin in it. And he even wrote it on a label for me, so I could order it again - which I have. Nobody really gets it. "Some weird...thing?" they call, when my order is ready. It's never as good. And I never know what it's going to cost. I called it the Bloomsbury Bruiser, inspired by the name black eye, but I think it should really be the Bloomsbury Bright Eyes. Large cup, half filter coffee, a double shot, 5 pumps of pumpkin, top up with soy milk, whipped cream on top (because I love a paradox). Well done, coffee wizard of Bloomsbury. You are doing an excellent job. Last New Year I was in Chamonix, and on NY Day we went up the cable car to the top of the glacier. I late fully regretted it because my ears did not return to normal for some time afterwards (this was the start of the 8 week cough) but the views were absolutely spectacular. Since it is Europe's highest cable car, at 3,777m, that's not a surprise. Some people even get out there and hike. Crazy fools. So, on my first day in Chamonix, I said the the ski hire guy, "There's a life right around the corner, can I just take that one? 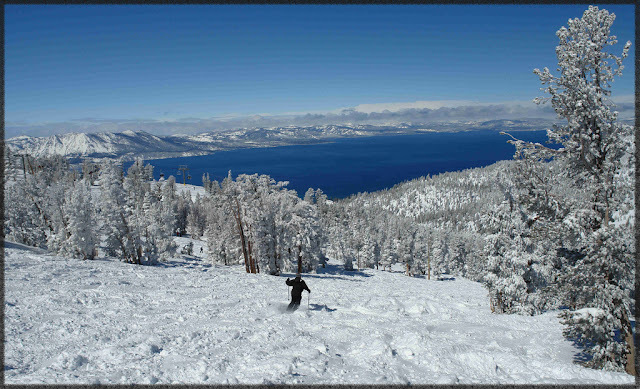 Is there good skiing out there?" Turns out, I was talking about this lift. He was very nice about it. "You might need crampons," he said. Uh, yes. And a guide, and one of those air bags, and a transceiver, and about 30 more years' experience. Much better enjoyed bundled up in warm clothes enjoying the view without having to worry about the skiing. San Ginignano is apparently famous as the inspiration for Walt Disney's logo, although now I can't find any reference to it anywhere so I am doubting myself. In any case, it is a typical Tuscan hill town. As an aside, I have to say that Tuscany combined three things I dislike - hills, mosquitoes and British tourists....so, many, British, tourists. I think that's why, on balance, I did not like it as much as other places we went. 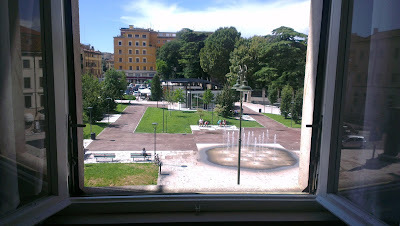 I had just got used to ordering an espresso by just asking for a coffee, when I had to get used to asking for an espresso again, thanks to the deitalianisation of this part of Italy. But I digress. 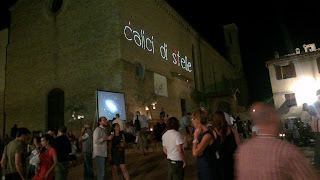 We were extremely fortunate to be in the area for San Gimignano's annual wine festival, Calici di Stelle. The landlady at the villa explained the system: you go, pay 7 euros for a glass, and then drink as much wine as you like while people serve you snacks. It sounded too good to be true, but we went up there anyway. We had a browse in some shops and went for dinner first. The town is very picturesque. We thought we were on the main square and there were no wine stalls set up, so we nearly left. However, we thought we'd wander for a bit. We came across a street festooned with white paper moons and stars, so we followed it. And then we found the event! It's tough to see, but each local vineyard had half a table and offered tastes of their different wines. I think we tried 6 or 7 in all, but there were probably 30 different wineries exhibiting. Marvellous. Meanwhile, waiters circulated with trays of meats, cheeses and breadsticks. There was even free ice cream. And a light show. It was really rammed with people and it took us a while to get a table, which we then had to guard jealously for the rest of the evening. We got to keep the glasses, which came in a little shoulder pouch for easy carrying. Genius. What a lovely evening! We felt really lucky to have been in the area at just the right time. When we got home I fed Rachael's friend Louise Vin Santo and cantuccini, because she was terribly keen to have a dessert wine. She did not care for it, at all. It is still a memory that tickles me: the look of abject horror as the flavour hit her tastebuds. I think Vin Santo is lovely. Clearly not everybody agrees. A quick trawl through previous wishful thinking posts to check this picture hadn't already featured revealed that Lassen was my pick at almost this exact date last year. It's odd really, because it was during our stay at Lassen that I had to drive Mr Z to the hospital which was about 90 minutes away and they had to drain his knee with a big syringe; and we were camping and there was still snow on the ground (in AUGUST); and in the middle of the night it rained and everybody who hadn't put their fly sheet on (ie, everybody except us) got up and ran around in the dark and we thought our tent was going to leak because it was the first time we'd used the airbed and it was pressed against the sides because it was too big. So, really, Lassen wasn't the most restful place in terms of what happened. However, there was no phone signal, anywhere; there was no shop and no hot water, which limited the type of camper we had to interact with; and the scenery was just breathtaking. And I would like to see more of it, which probably also explains why I'm pining for it. I love a good sunrise but normally I am driving through it. There are some upsides to being too ill for work. We really lucked out with our choice of villa. It was just outside a tiny town called Casole d'Else, in the middle of a triangle created by Siena, Volterra and San Gimignano. It was the top floow of a farmhouse that had been converted (or built) for guests, and it had a private swimming pool. Getting there required us to drive past the vines. Always with roses at the end of the vine. There must be a good wine-growing reason for that. More bees? From the villa verandah, we had this view. The farm was organic. There were hundreds of flowers and plants and their accompanying insects for us to look at. There was even a free one of these. He was very friendly. Our matching rental cars. The path down to the pool is just behind them. It was not overlooked by anything, so I did enjoy a private dip in the morning a couple of times. You can just about see the edge of it from the balcony. It was a very idyllic place to be staying, that's for sure. Pictures of the jellyfish tanks by Mr Z, from Monterey Bay Aquarium. I could have watched them for hours. Hypnotic, and so, so blue. One of my attempts (slightly fuzzy, of course) is my phone background. My only complaint was that it was difficult to work out where the best place to park was. We ended up parking on the street some distance from the town and walking in. But it was busy anyway, because it was nearly time for the Palio. Everyone was out in their team colours. Aperol Spritz at 11am - YES ITALIAN LADY. There was some kind of team lunch going on in the square, and we were treated to a dance. I really loved the pageantry of it. I don't think I would be keen on the race, but the build up and team spirit was great, as were all the little temporary wooden stands. We tried to go up the tower but we'd missed out by being there too late. Probably not sorry to avoid all the climbing, to be honest. Shopping was done. I bought another amazing Gabs bag, a bigger one that I can take to job interview with a folder in it. And I bought a grown up wallet, for the first time ever. Time to wave goodbye to the little zip-up coin purses I've been using my entire life. It reeled me in by being many beautiful shades of blue. And, anyway, Italy is famous for its leather so, who wouldn't? I was not allowed to go in.